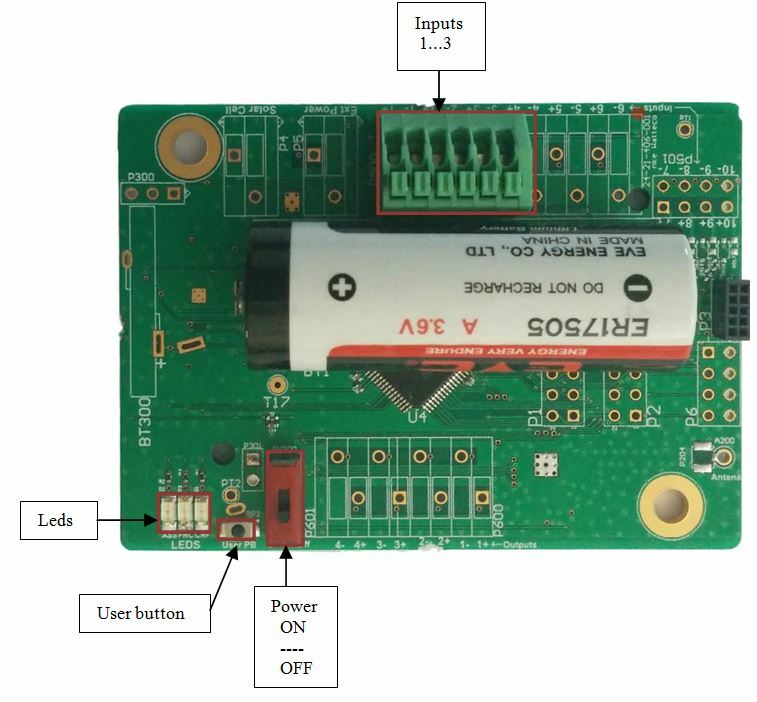 The Pulse Sens’O sensor is a LoRaWAN class A sensor that uses a disposable 3.6V A-type battery as power supply. The Pulse Sens’O sensor incorporates 3 digital inputs, and also includes an internal antenna. The level or a counter can be transferred to the different inputs. It is also possible to get the voltage of the power supply. There is an ATEX version of the Pulse Sens’O, which is designed to be used in an explosive atmospheres. → Due to software limitation, the maximum frequency is 100 Hz on each input. The housing is intended to be installed inside or outside a building but it must be protected from vertical water spray and direct sunlight. The product is delivered disassembled. This enables the connection to the screw terminals. 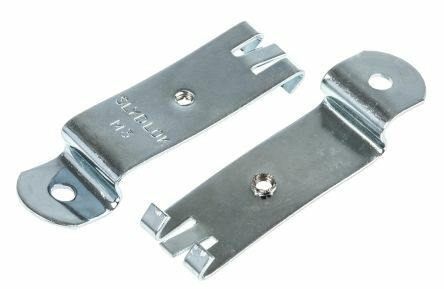 Before connecting your cable strands to the product’s screw terminals, you must insert the cable gland’s nut and the seal. For the connectors, we recommend using several 20-26 AWG single wires. As the connectors pinch the wires plugged inside approximately 4mm from the wire end, strip the wires over a length of approximately 5 to 6mm before plugging them into the connectors. Once the assembly is complete, the casing can be closed. 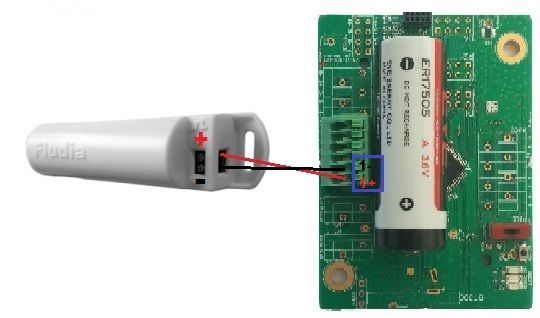 This product is delivered with the cables connected to its inputs, together with the magnet used with the reed switch. In order for the sensor to operate correctly, the number of obstacles should be limited in order to avoid excessive radio wave attenuation. It is also important to place the sensor as high as possible. The cable gland should be positioned downward. 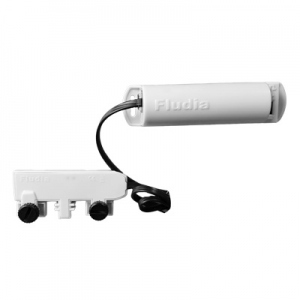 The Fludia sensor « BelSenso FM230m » is compatible with the Pulse Sens’O. Connect one of the inputs of the Pulse Sens’O to the output of FM230m according to the polarity. The information in the table below represents how long the battery can last. It is based on the default configuration at ambient temperature (+25°C) within the optimal operating range of the sensor via a LoRaWAN network (one uplink frame), when the spreading factor used is SF12. The disposable battery has a 3.6Ah capacity, of which 85% is used. A value of 3µA of consumption is added per input connected (contact closed). ASSN: blinking until the association with a network is done. FNC: blinking every minute while an input is activated. CNF: blinking in configuration mode. Once the device is installed, switch ON the power. • A user button is available to enter the configuration mode. « Void » frames are then sent every minute for 10 minutes. Standard reports are disabled in this mode. Effects on the sensor The CONF led (red) blinks (3 sec. OFF, 3 sec. ON) and the sensor sends an uplink frame every minute. The blinking is illustrated below this table. A reassociation procedure can be requested if no downlink frame is received by the sensor during a given periodicity (4 days by default) or if a given number (100 by default) is reached or in case of failure (no acknowledgement received) by sending an applicative frame to the sensor or via the sensor’s IHM. The sensor keeps the AppEUi and DevAddr configured, Confirmed/Unconfirmed configuration and all applicative configurations. However, LoRaWAN configurations (channel, data rate…) are lost. Way to trigger it Three short presses on the USER button or ZCL command from LoRaWAN cluster. Effects on the sensor The ASSO LED (green) blinks as the “no commissioned sensor” LED is lit. 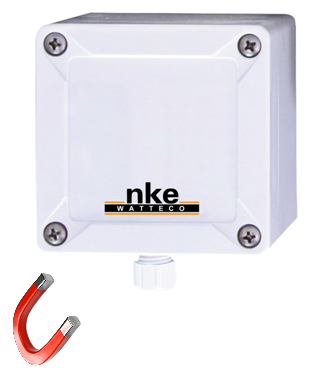 A factory reset is available on nke Watteco’s sensors. It deletes all the applicative settings saved in the flash memory (i.e. configured batches and reports will be deleted). The sensor keeps the AppEUi and DevAddr configured. However, LoRaWAN configurations (channel, data rate…) and applicative configurations are lost. Way to trigger it Two short presses and one long press for approximately 7 seconds on the USER button. Effects on the sensor The CONF LED (red) and ASSO LED (green) blink at the same time briefly. All the applicative settings (for batches and reports) are deleted. The blinking is illustrated below this table. 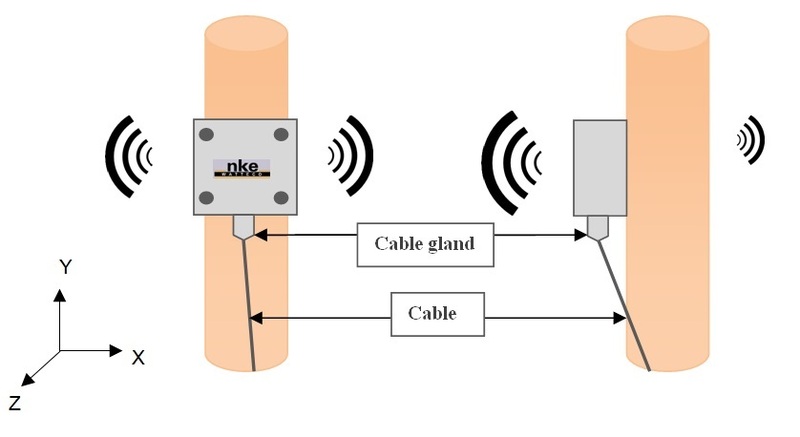 To start up the device, a magnet must be placed next to the sensor for one second (to the left of the cable gland). The red LED blinks quickly during this step. After one second, the red LED stops blinking and the green LED blinks slowly until the association is done. To switch off the device, repeat the same operation by placing the magnet next to the sensor for 5 seconds. After those 5 seconds, the red LED blinks 5 times slowly. A reed switch is available under the sticker. 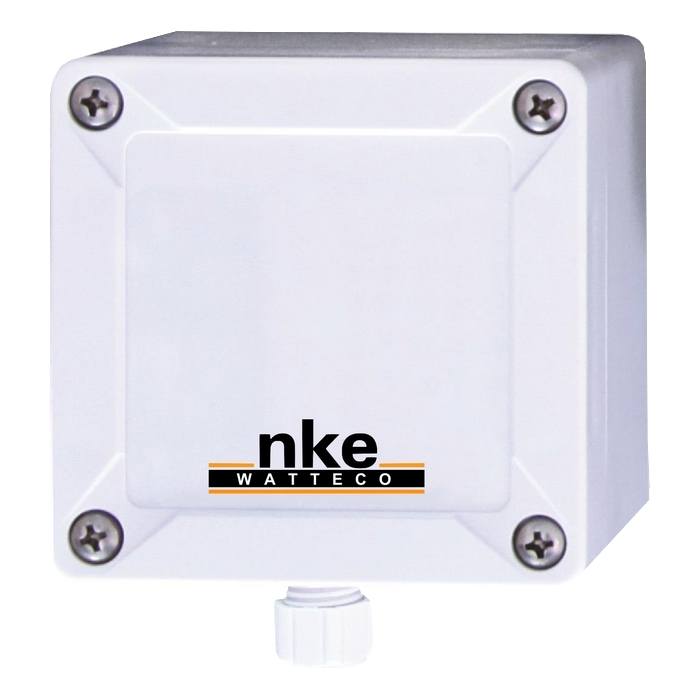 A magnet can be used to activate it and perform specific actions on the sensor (switch off, switch on, reassociation…). When the reed switch is activated, the red LED blinks quickly. Effects on the sensor The CONF led (red) blinks (3 sec. OFF, 3 sec. ON) and the sensor sends an uplink frame every minute. The sensor keeps the AppEUi and DevAddr configured, Confirmed/Unconfirmed configuration and all applicative configurations. However, LoRaWAN configurations (channel, data rate …) are lost. Way to trigger it Three passages of the magnet near the reed switch or ZCL command from LoRaWAN cluster. Effects on the sensor The ASSN led (green) blinks as the “no commissioned sensor” LED is lit. Effects on the sensor The CONF LED (red) and ASSN LED (green) blink at the same time briefly. All the applicative settings (for batches and reports) are deleted. The blinking is illustrated below this table. The device reports each day the counter value associated with input 1+/1- (EndPoint 0 / Cluster Binary Input / Attribute Count), input 2+/2- (EndPoint 1 / Cluster Binary Input / Attribute Count), and input 3+/3- (EndPoint 2 / Cluster Binary Input / Attribute Count). →The value on Input 3+/3- is the End Point 2, Cluster “Binary Input” is 0x000F, and Attribute “present value” is 0x0055. The maximum field has to be 0x800F to have a report every 15 minutes and the minimum field has to be 0x0014 to have a minimum time delay between two reports. The delta has to be configured to 0x01 for a report at each variation. →A counter on Input 1+/1 is the End Point 0, Cluster “Binary Input” is 0x000F, and Attribute “Count” is 0x0402. The maximum field has to be 0x1c20 to have a report every 2 hours and the minimum field has to be 0x0000 to have a report immediately after the right incrementation. The delta has to be configured to 0x05 for a report every 5 pulses. →A counter on Input 2+/2- is the End Point 1, Cluster “Binary Input” is 0x000F, and Attribute “Count” is 0x0402. A level on Input 3+/3- is End Point 2, Cluster “Binary Input” is 0x000F, and Attribute “Present Value” is 0x0055. There are two different measurements to be recorded in the batch, so the tag size has to be 1. Label 0 can be used for counter and Label 1 for level. For counter, the delta is 200 and resolution 1. For level, the delta is 1 and resolution 1. The maximum has to be configured for all to 0x850a. Two frames must be sent to configure this batch. Timestamp and record the pulses counter with a resolution of 1, a value has to be saved at least every 30 minutes or on a rise of 50 pulses. Timestamp and record the battery voltage with a resolution of 0.1V, a value has to be saved at least every 24 hours. All data have to be concatenated and sent every 24 hours at the most. →The solution to concatenate several different physical values in the same frame is to use batch reporting. For the batch, the number of physical measurements that will be sent must be known in order to choose a label for each of them and the size of these labels. As mentioned in the previous paragraph, we will have only two kinds of measurements to manage, thus two different labels. The tag size to be used for two labels is 1. Label 0 can be used for binary input counter and label 1 for the disposable battery level. A counter on Input 1+/1- is the End Point 0, Cluster “Binary Input” is 0x000F, and Attribute “Count” is 0x0402. The battery voltage: Cluster « Configuration » is 0x0050, and attribute « Node power descriptor » is 0x0006.